I’ve driven a lot of really fast cars in the past few years. Everything from McLarens to Ferraris to BMWs to Mercedes-AMGs, we get to drive a lot of really fast, really exciting car. But I’m not sure I’ve ever driven anything quite as fast as the new F90 BMW M5. Nothing I’ve ever even been in has been so brutally fast, in any gear, at any rpm, at any speed. It just surges forward with thrust that’s almost difficult to understand. 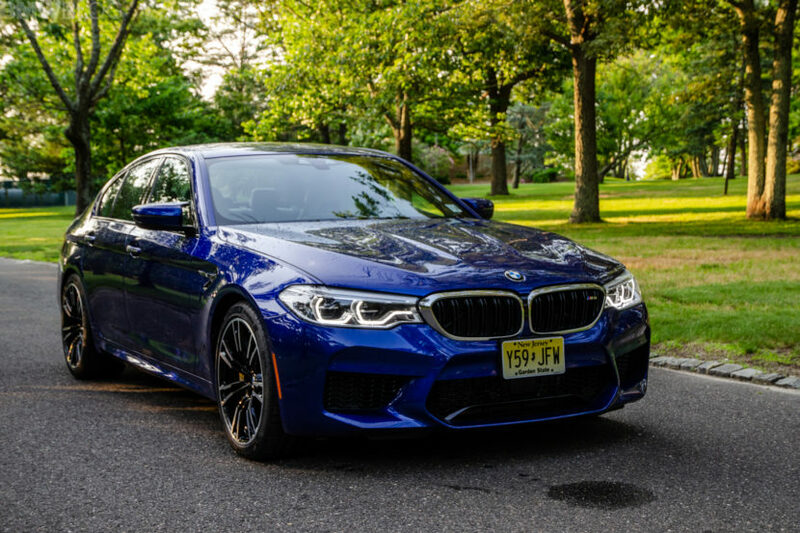 But the BMW M5 only makes a claimed 600 hp and 553 lb-ft from its 4.4 liter twin-turbo V8. There are many cars that make much, much more power. Cars like the Corvette ZO6, which makes a whopping 650 hp and 650 lb-ft of torque from its 6.2 liter supercharged V8. All of that power gets sent to the rear wheels via either a seven-speed manual or an eight-speed automatic. In this video, we get to see a drag race between these two brutes. On paper, the Bimmer stands no chance. It’s less powerful, far bigger and far heavier. However, it does have a couple of advantages, namely all-wheel drive. In this race, it also has the advantage of being automatic, while the ‘Vette is manual. So which one wins the race? The BMW M5 does. In fact, it obliterates the Z06. By the time you even see the ‘Vette, the M5 is almost at the quarter mile mark. Admittedly, it seemed as if the Z06 driver had a bad launch, just smoking the rear tires. So a better launch would have certainly made the race different. Would the M5 still have one with a better launch for the Z06? Personally, I think so, only because its all-wheel drive grip would still be able to put more power to the road and its automatic gearbox would still allow it to use launch control. Still, it’s fun to see a massive uber-sedan with big, squishy leather seats and more technology that the Millennium Falcon destroy a purpose-built, two-door sports car.